I'm excited to share my brand new paperback book with you, The Juice Lover's Big Book of Juices: 425 Recipes for Super Nutritious and Crazy Delicious Juices! For hundreds of mouth-watering recipes in 18 unique categories, along with my juicing tips and special advice you can order below. Hi Juice Lover! This book is like having me in your kitchen with you. You'll be able to tap into my creative brain and how I make unique, healthy juices. I've poured my heart and soul into this book for you and I know you're gonna love it. It's not only stunningly beautiful and unique, it is THE ultimate juicing book for your kitchen or to give as a gift to someone you love. Without further adieu, let me show you what's in it! NEW & CREATIVE RECIPES You'll get 425 (yes, 425!) of new, unique recipes to some of the juiciest blends out there. If you've never made a chia juice, a nut milk juice or a detox juice, I've got you covered. JUICING TIPS My "juicy tips" sprinkled throughout the book really help you get the most out of your juicing routine and will make you a better juicer. JUICING ADVICE See what my top 30 fruits and veggies to juice are, along with my recommended kitchen essentials. BEAUTIFUL PICTURES These recipes have never-seen-before photos -- you'll know what the juice will look like before you even craft yours. I can't wait for you drool over how beautiful these juices look. TASTE TESTED & HEALTHY Each of these juices were tested by me and will maximize nutrition in your diet. I love each and every one of them. I'm thrilled they will be in your juice glass soon. CHAPTERS INCLUDE Vegetable Juices, Green Juices, Juice Shots, Party Punches, Citrus Juices, Fruit Juices, Kid-Friendly Juices, Tropical Juices, Slimming Juices, Chia Juices, Nut Milk Juices, Herbal Juices, Calming Juices, Energy Juices, Lemonades, Juice Sodas, Cleansing Juices, Blender Juices. How to choose a juicer as well as other handy kitchen tools. The difference between blending and juicing, so you know which is better for your own goals. How to create tasty vegetable, fruit, citrus, and green juice combinations that will make you smile instead of gag. My list of the top produce for juicing. Tips on boosting your juice with natural potent additives. 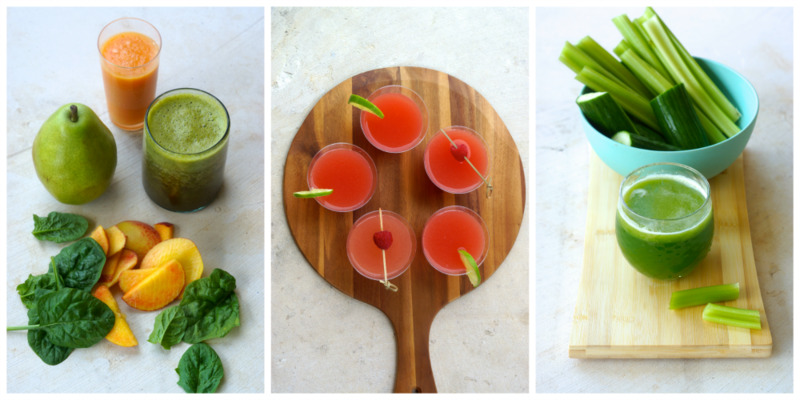 How to make juice shots for enhancing immunity, energy, and glowing skin. How to juice for energy and stamina. How to make party punches for your guests. The details on making the best juice sodas and spritzers. Why chia juices are all the rage now, and how to make your own. How to make creamy nut milk juices. The details on how to make tropical juices for the days you need to escape to an island. How to properly use herbs in your juices. What to juice to calm your nerves or to prepare for a good night’s sleep. How to use your blender to make blended juice when a juicer isn’t available. Juices to make for your kids that they really will want to drink. Slimming juices to help you fit into your skinny jeans. 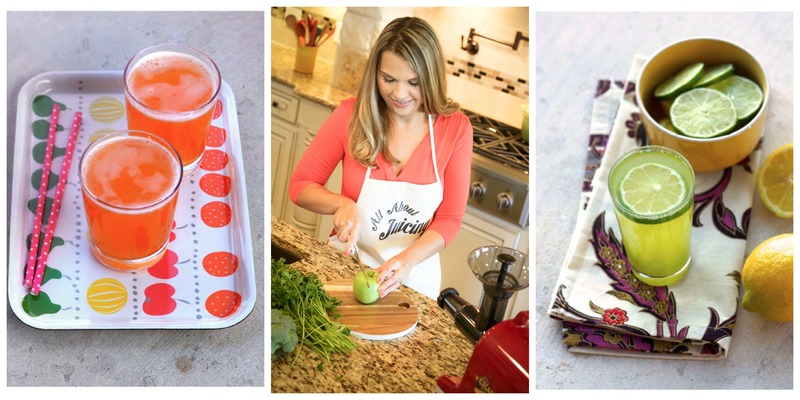 Vanessa Simkins is the founder of AllAboutJuicing.com: a website and newsletter serving up fresh, tested juicing advice for getting a hot body, glowing skin, and lifelong health through a straw. She is also the founder of Vanessa's Juice Club a membership community where juicing daily is easy and fun. 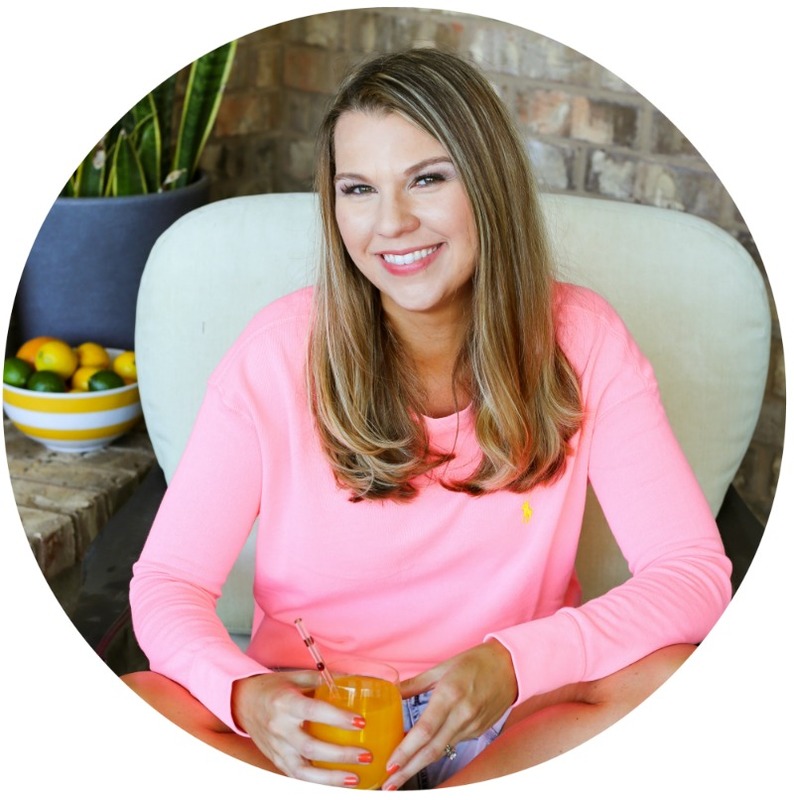 Her newsletters, products and site reach over a quarter-million readers each month – a veritable army, inspired to juice for better health. 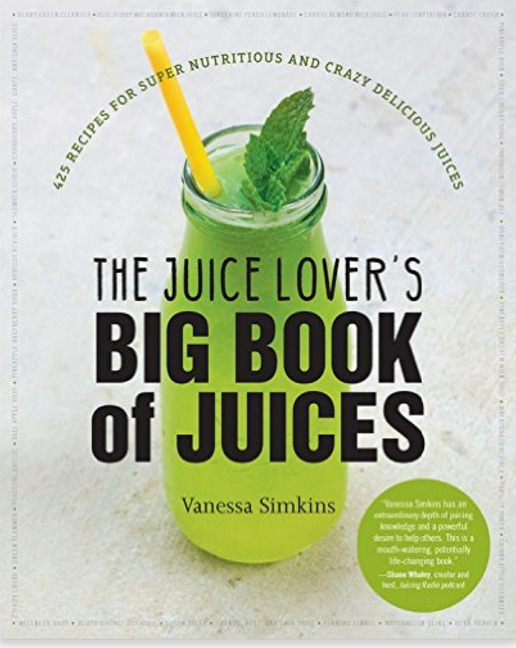 A juicing trendsetter known for her inventive and tasty juice recipes, Vanessa has an undying thirst for connecting people back to what makes them healthy, one drink at a time.